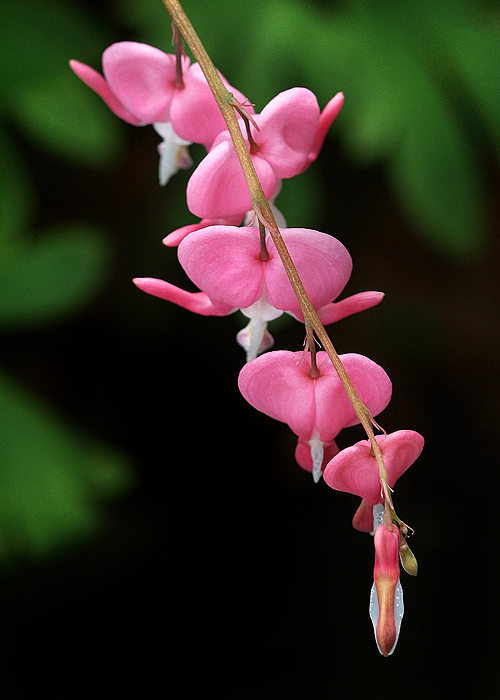 I photographed this lovely plant in August when Carmen and I visited the Atlanta Botanical Garden. I couldn’t find an identification label, so I have no idea what it is and I hadn’t seen it before. I welcome your input! As I write this, our backyard is covered in several inches of snow. It began about 3:00 p.m. this afternoon and didn’t stop until this evening. The snow fell fast and heavy and all the tree branches are outlined in white (a feast for the eyes, but not so good for the trees). Photographic opportunities abound tomorrow morning! Until then, I offer up some color from my garden last spring to contrast the white on white wonderland out there now. Could the Farmer’s Almanac really be correct? It is really only 52 days until spring? 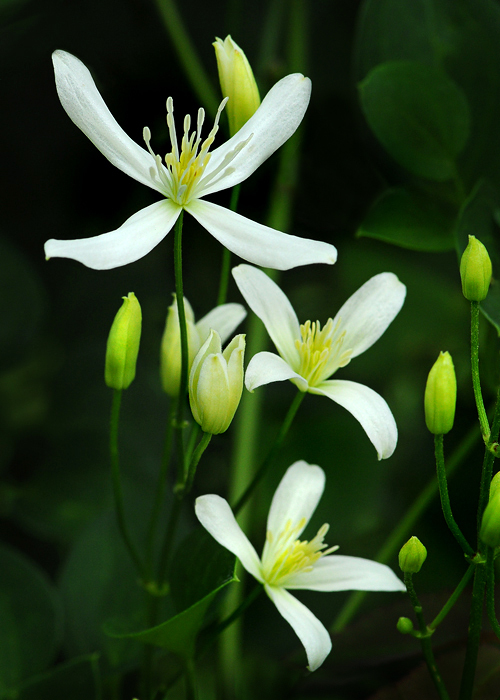 This ‘Nelly Moser’ Clematis has been growing over our tiny backyard pond for more than nine years. 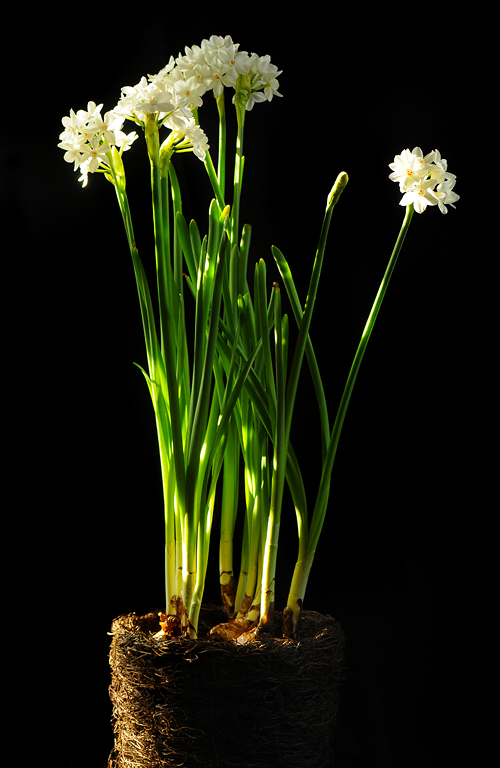 In the spring of 2008 it had its most prolific blooming period ever. I wrote about it on this blog here. If you like what you see on this blog, head on over to my everything-including-the-kitchen-sink blog below. Here you’ll find lots of my photography, including portraits, botanical images, travel and such….as well as entries for my new series, The Orphaned Images Project. 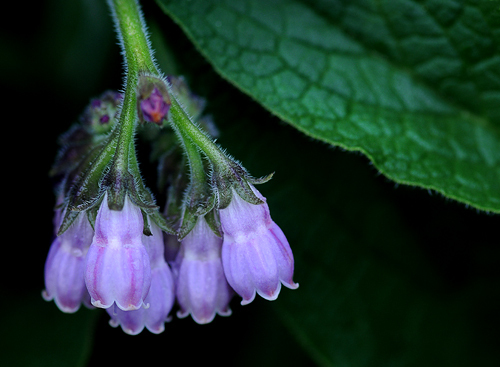 Comfrey (also comphrey) is a perennial herb of the family Boraginaceae and is native to Europe. 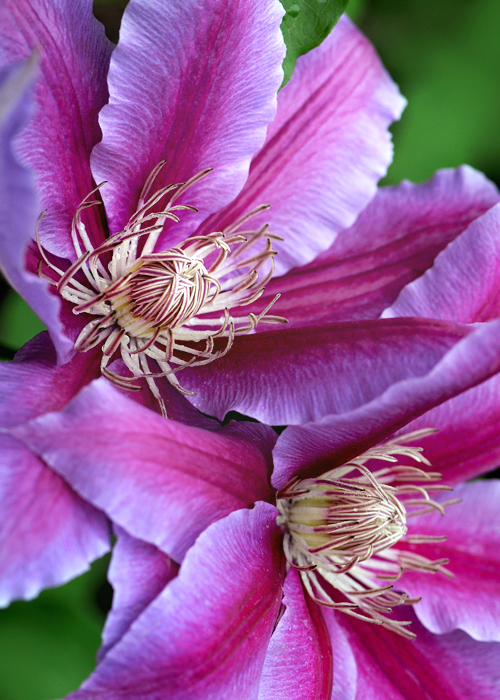 I photographed this flower at the Huntsville Botanical Garden in Huntsville, Alabama. 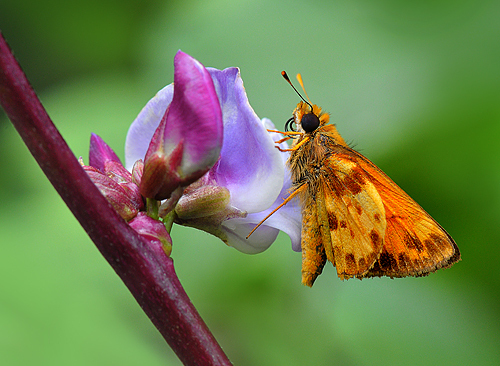 I was looking through my garden photo archives and came across this little Skipper I photographed at Lewis Ginter Botanical Garden in Richmond, Virginia this past August. I grow this pretty ornamental vine in a pot outside our front door each summer. The purple seed pods are known as lablab.